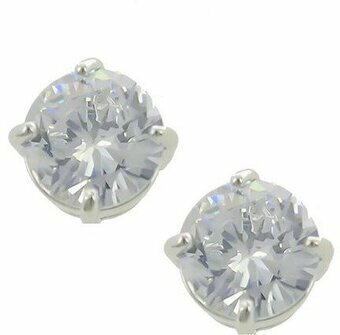 Rhodiumized Clear Cubic Zirconia Post Square Stud Earring Set. 5/16" X 5/16". Cubic Zirconia Accent Teardrop Stud Earrings. Drop approximately 5/8". Post stud back. Drop Approximately 0.3". Post stud back.